Before we start our Dyson V6 vs Dyson V8 comparison, it’s worth saying a couple of words about the manufacturer. Dyson is a giant in appliance industry, with an impressive tradition of over quarter of a century. Moreover, Dyson has a plethora of vacuums that are suited for basically all types of homes. Depending on the size and design of your home, the floors, carpets or upholstery - Dyson’s probably got something for you. Since this abundance of options can be sometimes confusing, this article’s aim is to help you navigate. Now, distinguishing Dysons might be a bit challenging, but have no fear. For starters, you can differentiate them by color. Each model has its own color, as well as its set of features and additional tools. For example, the standard Dyson V6 Cord Free set includes: a motorized cleaner head, a combo brush and crevice tool and a docking station. Similarly, the Motorhead version includes the standard pack and it’s recognizable in pink. In addition to the standard set, The Motorhead has more brush power and a separate crevice tool. The purple Animal model is packed in the same fashion, but includes some pretty competitive features. The Animal comes with a small motorized tool for pet hair, small soft dusting brush and a crevice tool. Lastly, the Dyson V8 Absolute is orange, almost golden. It has all the features of the Animal model but the pack includes a magnificent Soft Roller Cleaner Head. First things firsts - all Dyson vacuums (including V6 and V8) feature the patented Cyclone Technology. ​This way the dust particles are sucked into the vacuum with great power and then sent directly to the bin. No dust bags, no worries. 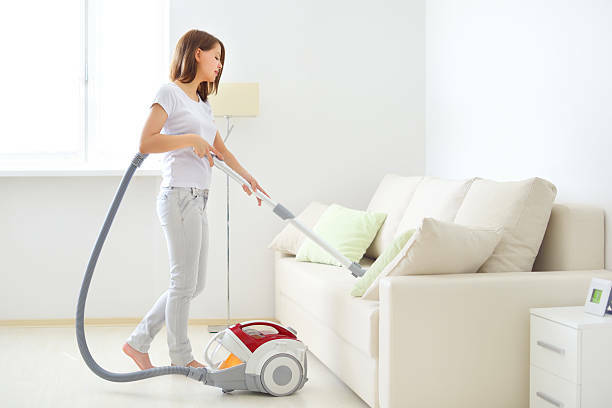 Bagless vacuums can be a great benefit - you save money and it’s healthier for yourself and your environment. However, the V6’s bin fills up fast and it can be an issue - especially for pet owners. For a longer vacuuming session you can count on frequent walks to your dustbin to empty the vacuum. Speaking of longer vacuuming sessions, the maximum vacuuming time for a one battery charge is 20 minutes. After that, the V6 models need around 3-4 hours to charge their batteries. It might seem annoying - 4 hours for a 20 minute clean up, but it’s pretty low compared to other models. Another plus side of these models is a 325W input power. This amount of power puts V6 models in line with many upright vacuums. By comparing the power these models have, and how light they are, we’ll understand why they loved among buyers. The suction strength is impressive for a stick vacuum, and it does a solid job on different types of floors. Sadly, Dyson V6 doesn’t do so well when it comes to thick carpets. Any pet owner knows what a nightmare they can be, and the same goes for family with kids. The Animal’s mini motorized feature does help with hairs and debris, but it’s more suitable for upholstery than carpets. In contrast, the awesome side of V6 models is that they all come with a highly efficient motorized cleaner head. You also get a handy combination crevice and brush tool and a slick docking station. Due to its design and light weight, Dyson V6 models are easy to store even in the tiniest homes. Notably, the light weight also brings points on the maneuverability of these vacuums. In addition, the stick vacuum easily becomes a handheld with a press of a button. In other words, you can easily reach all types of corners, edges and angles. As it can be seen, depending on your needs, there’s a ton of varieties of the Dyson V6 model. The Cord Free V6 is pretty basic, but still powerful. Just how powerful Dysons can be, you can check in Car Vacuum cleaner Reviews’ channel. In this video, Dyson works nicely with debris ranging from mud to dog food to pet hair. It’s what you might call an all a rounder. If you want to get a closer look, check out the Motorhead model review on Daily Tekk ‘s channel. The video demonstrates the design and accessibility of its features up-close, which gives you a full tour of the model. The full unpacking and assembly of The Animal model is featured on Katie.S YouTube channel. It’s helpful if you’re uncertain about your skills or if you want to be sure about the shade of purple. As you can see, the assembly is easy and straight to the point. Furthermore, the procedure is more-or-less the same for all models. What I love about Katie. S’ review is that it perfectly depicts how easy to use Dyson is. It’s light, flexible and powerful - perfect combination. Why people love Dyson V6? Lastly, Dyson v6 is a pretty affordable deal. It has a good suction power, the trademark cyclone tech and a variety of additional features for an acceptable price. Of course, this explains the high ratings Dysons have among users. The average rating on Amazon for aforementioned V6 models range from 4.2 to 4.5 out of possible 5 stars. Correspondingly, the Dyson V8 has a full Dyson starter package. The Cyclone Tech is present, just like V6. The additional tools are all here as well - including the pet hair removal brush. The combination brush is included in the same fashion. The model V8 is bagless and empting the bin’s never been easier - even compared to V6. The Dyson V8 is also cordless vacuum, light and easy to store. It goes easily from stick to handheld vacuum, which makes reaching remote places easy. Dyson V8 follows on the tradition of V6 models, but at the same time brings something new. The Dyson V8 includes HEPA filters. HEPA filters might just be my favorite feature of any vacuum. These filters catch not just dust, debris, but a large variety of allergens. The Dyson V8 leaves you with a healthier air which is surprisingly rare among home appliances. The HEPA filtration system is paramount for any health conscious customer - especially those with children or respiratory issues. It basically means that, by investing in a high-quality appliance, you save money on health care. Not to mention time and stress. The Dyson V8 has a powerful suction, and an input power of around 425W. The V8 model can work up to 40 hours without any “fade out”. To put it another way, it’s equally strong when you turn it on and when you turn it off. That’s amazing - considering the strength of the vacuum, it’s amazing it can work for such a long time. The downside is that the average charge time is 5 hours. Considering it takes such a long time, you might want to be efficient with those 40 minutes. Another improvement comparing to the previous models is certainly the raw brush power. Compared to the Dyson V6, the Dyson V8 model has a 150% more brush power. That’s an impressive amount of power for a handheld vacuum. That also means that thick carpets are no problem for this slick beast. The V8 is also a bit heavier than its predecessors. The main reason for this is the enlarged bin. That’s right. The Dyson V8 has a HEPA filter, that’s followed by a larger bin than any of its V-series cousins. Even the hygienic dirt ejector is improved and cleaning of the vacuum is as smooth as the vacuuming itself. This often overlooked, but extremely important factor can be a real game-changer in your home. While other vacuums might be as powerful as Dyson models, the Dyson V8 keeps the debris sealed inside. To put it differently, what’s vacuumed stays vacuumed. Another key point the Dyson V8 boasts with is a Soft Roller Cleaner Head. This feature is pretty unique - instead of bristles or a brush bar there’s a roller cleaner. This roller catches both fine dust and debris, and it’s easily used in tight spaces. 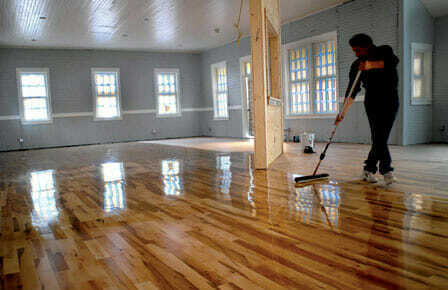 It’s a dream for hard floors, especially fine wood because it catches everything and scratches nothing. Tsachi E’s channel has a nice review with the unpacking of the model, if you want a closer look . Here you can see the Soft Roller Cleaner Head and the impressive suction power at work. Even the V8 model has a couple of flaws. For example, the size and design are just different enough that you can’t use your V6 attachments. However, most add-ons you would get with V6, come with V8 so you don’t have to worry too much. The price is a challenging point for most buyers - we can’t call Dyson V8 easily affordable. Generally speaking, at the end of the day it goes back to the main reason of your purchase. Are you investing in a high-quality product or are you more of an all-a-rounder person? In essence, when it comes to performance, the Dyson V8 model wins by a landslide. Dyson V8 Absolute boasts a 400 W of pure power, while Dyson V6 is only 350W at best. The bin capacity takes a jump forward, as well. The size of the bin in Dyson V8 is 30% increased compared to V6 models. No more long romantic walks to the trash bin during clean up. Obviously, the battery life is doubled - V8 can work for 40 minutes compared to 20 minutes the V6 can. The battery in V8 models is the brand new Lithium-Ion, and that’s the reason why there’s no “fade out” effect. The Lithium-Ion batteries have proven in the industry as an incredibly light and highly efficient power source. It will be interesting to see where Dyson will take the usage of Li-Ion batteries in the future. However, it’s terribly annoying that the battery life plummets in both V6 and V8 when the motorized tool is used. We can hope that Dyson will correct this issue in the next generation of vacuums. Moreover, both V6 and V8 switch easily to a handheld vacuum. They can go low and high, allowing you to reach even the trickiest places. Of course, the V8 model is a bit longer which is awesome for long curtains and high ceilings. Both are light and easy, without boring cords and heavy duty machinery. Dysons can boast with their flexibility and they score pretty high when it comes to maneuverability. Thanks to a wide variety of features and additional tools, even cleaning edges and stairs is easy. The combo brush and crevice tool keep even the most challenging areas stress-free. This includes upholstery and stairs, especially for pet owners. Whereas a small dustbin appeared as somewhat of a problem with the Animal V6 model, with the V8 it’s solved. Often enough hard floor cleaning can be as tricky as cleaning any carpet. Although the V6 will pick up dust and debris without any problems, the V8’s Soft Roller Cleaner Head is especially designed for hard floors. Certainly, this is a relief for fans of wood and marble floors. Ultimately, one of the downsides of Dyson’s V6 model, and most other vacuum cleaners is the noise. The V8 Dyson model is 50% quieter than its predecessor and that doubles its convenience. The V8 will definitely make you more liked among your neighbors due to less noise. In addition, this means you can finally listen to your clean-up playlist while vacuuming. To summarize, the winner of our Dyson v6 vs Dyson v8 comparison is the wonderful cordless Dyson V8 Absolute. Impressive input power, longer battery life and a larger dustbin tip the scales in Dyson’s V8 favor from the beginning. The uniquely fabricated Soft Roller gives the model a serious lead, but it’s the HEPA filters that take the victory. The Dyson V8 cord-free vacuum might not be a cheap solution, but it’s a long-term, reliable solution. Have you had a chance to use a Dyson vacuum? Or to compare the Dyson V6 vs Dyson V8 ? Do you have experience with any of the models we reviewed in this article? Let us know your impressions!